Today in Shanghai, Microsoft has announced Windows 10 China Government Edition for China government customers. The company developed this new Windows 10 edition with the support of CETC. 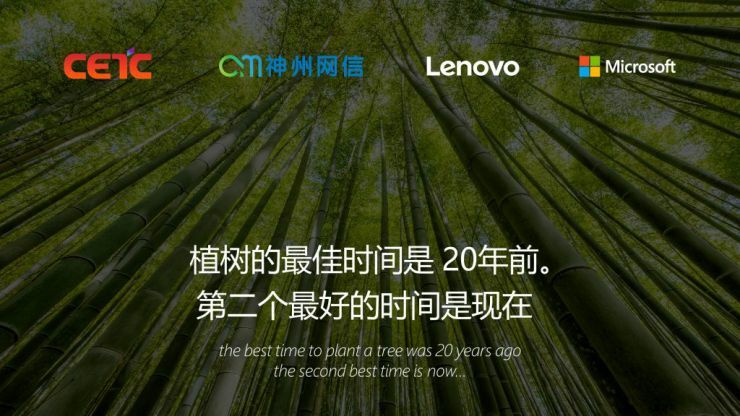 Lenovo will be the first OEM partners to preinstall Windows 10 China Government Edition. For more than two decades, Microsoft has had the distinct honor to work in China, learning and advancing technology together. Over the last two years, we have earnestly cooperated with the Chinese government on the security review of Windows 10. The Chinese government has the highest standards for security. The tools they choose to use for productivity and creativity must meet the highest levels of quality. Three government customers are the first to pilot Windows 10 China Government Edition – at the national level with China Customs, at the regional level with the City of Shanghai (EITC) and the state-owned enterprise with Westone Information Technology. The Windows 10 Edition for China is based on Windows 10 Enterprise Edition, which already includes many of the security, identity, deployment, and manageability features governments and enterprises need. However, the new Windows 10 China Government Edition will not include OneDrive. The Chinese government will its own encryption algorithms within its computer systems. Today, Microsoft also announced Surface Pro with new improvements and better battery life. Read more details here.